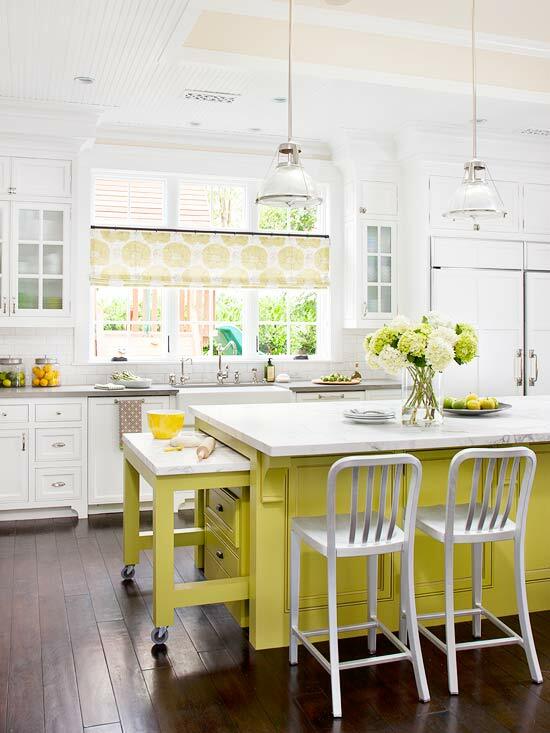 A practical yet stylish kitchen island is the most-used area of the home. It makes everything from cooking to dining a breeze. 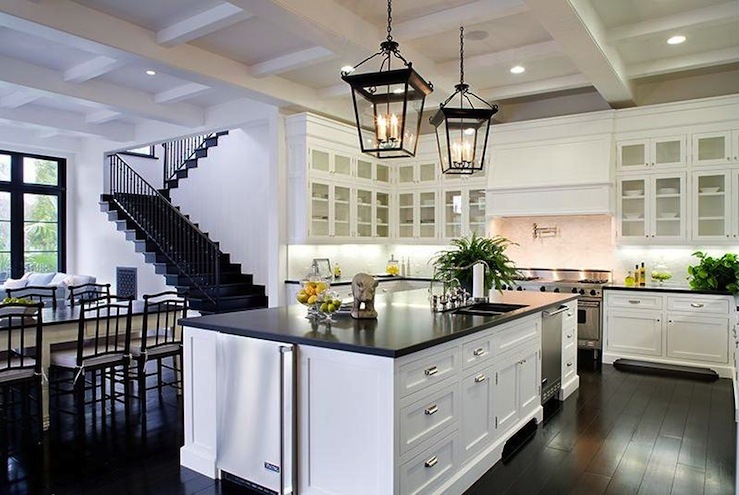 Kitchen islands serve a number of purposes. From preparing food to casual dining to storage, these workhorses do it all--in addition to being a visual anchor in the space. 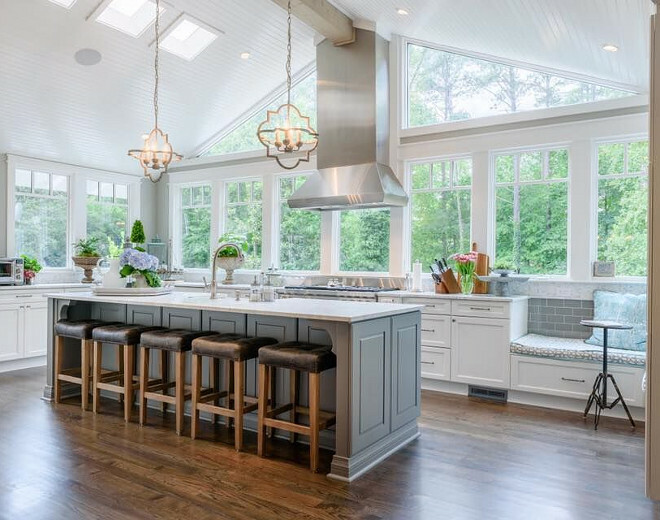 In addition to increasing the room's functionality and efficiency, more than 70% of buyers want an island in their kitchen, and of those, 50% consider it a must-have, according to a survey by the National Association of Home Builders. No wonder more and more kitchen renovations include the addition of a kitchen island. What particular features are most important to you when considering an island? Think about what kind of design is going to provide the most utility and enhance the existing kitchen. What does the space need? Does the room lack cabinet space? Is extra seating a priority? Having more counter space adds obvious benefits. It's so nice for meal prep and serving food, as well as serving as an eating area. 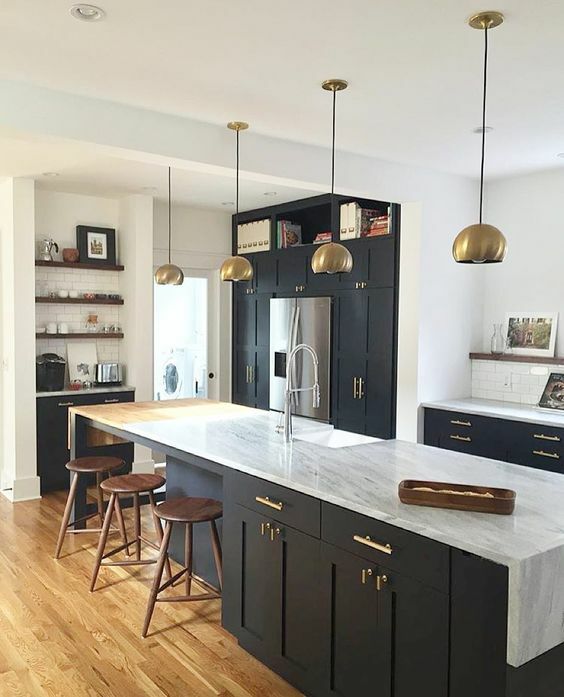 One tip to try is to create contrast by using a different material or color for the island (or for the counters) than you did in the rest of the room. Create more seating space by adding low-profile seating. 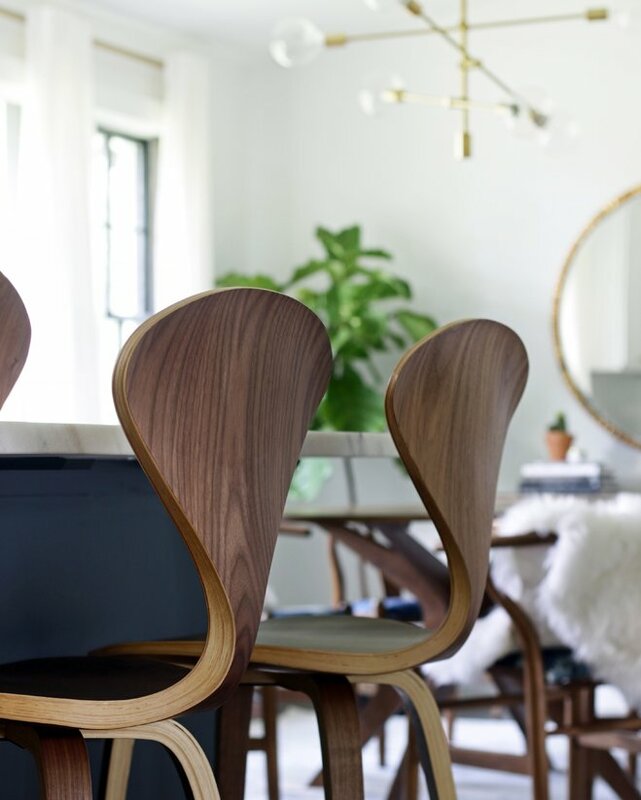 Create a breakfast bar or dining table, and leave a counter overhang that offers enough room to tuck the chairs or stools underneath when not in use. For my family, this not only provides additional seating, but it creates a more social atmosphere for family and guests and a place for homework. 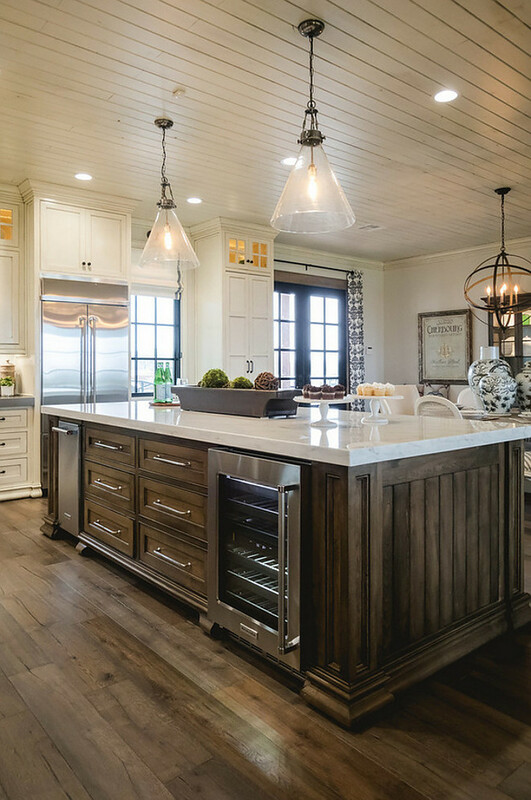 Incorporating appliances into the surface of the island is one way to spread the workflow throughout the kitchen. 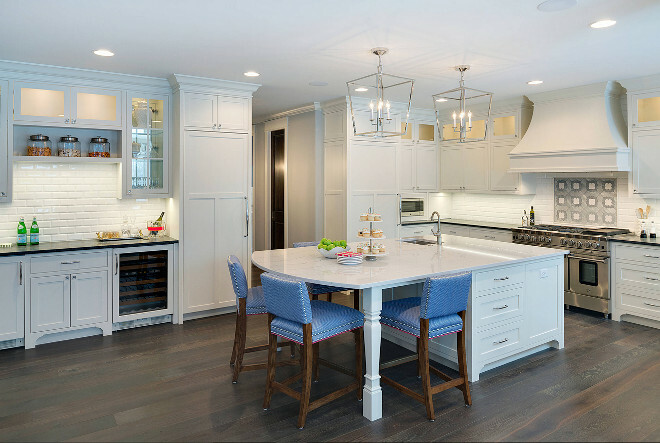 In addition to creating more counter space, an island is also a way to add more storage and avoid kitchen clutter by using drawers, cupboards and shelves. Store dishes and pots within reach or keep less frequently used appliances out of the way. Another option is to use open shelving to display cookbooks or other items. More and more I'm seeing clutter removed counters, such as the paper towel dispenser, and having it built into the island. A utility sink would be a helpful addition where possible. 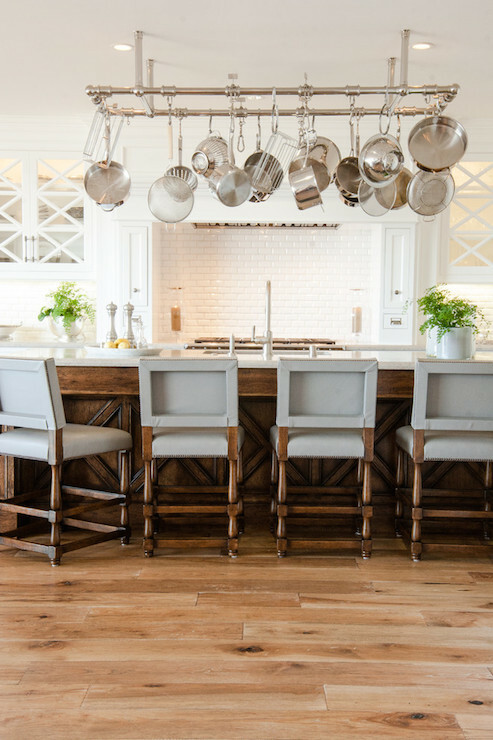 Use the space above the island by adding suspended storage, where you can display a collection of pans or stemware. Or take advantage of being able to use this space above with lighting elements. 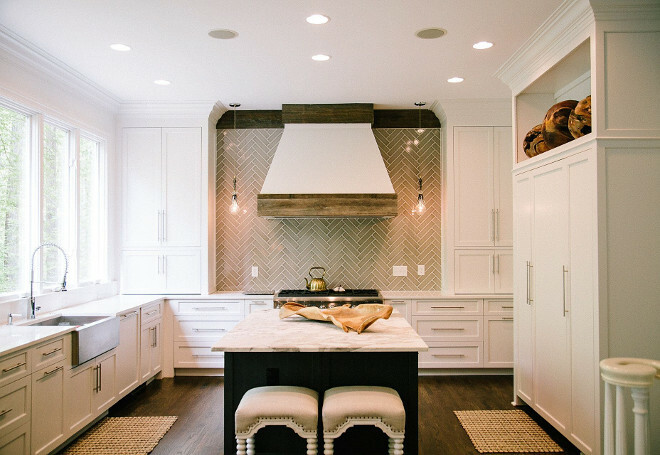 If you've decided to install a stovetop with overhead venting you can use the space for the range hood. 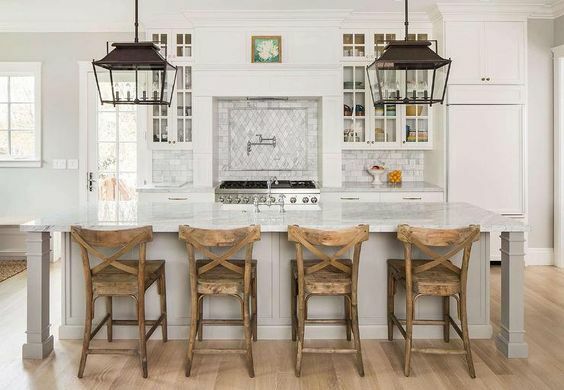 Whether you want to create a spot for nightly homework, meals, or food prep, a practical and beautiful island is sure to become the most-used area in the home. 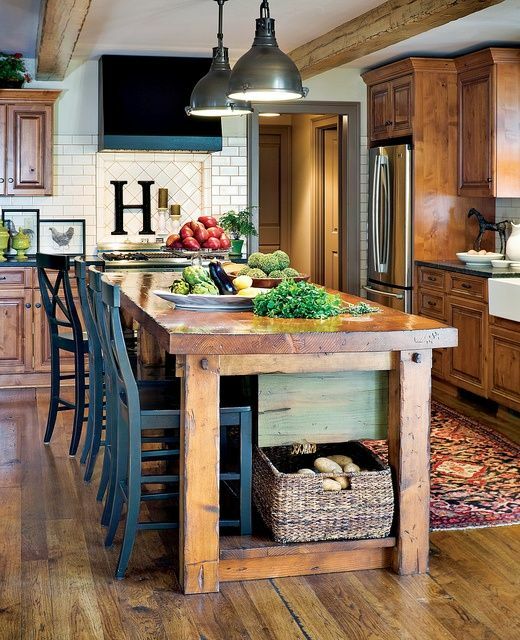 Which features for a kitchen island are most important to you?